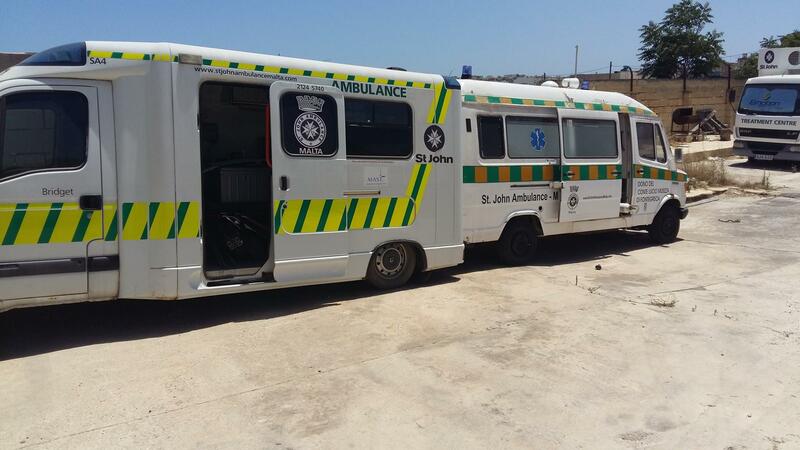 Malta, St John Ambulance victim of vandalism. They need your help, now! St John Ambulance Malta – a voluntary organisation working to provide first aid training and rescue services – was the victim of theft and vandalism some days ago. The organisation took to social media to express their anger, where they wrote that medical equipment has been stolen, and a number of ambulances vandalised. Stolen equipment includes a generator, a power wash, an air compressor, a ‘flat two ton jack,’ pin index oxygen regulators, various tools , consumables such as gloves, gauzes, dressings and bandages, and lastly automated external defibrillators. It is run through donations, and after falling victim to the crime the group has written that it will not be able to offer the same service it once did. St. John Ambulance wrote: “Shame on you – whoever you are. At the end of this week, St. John Ambulance MALTA – A voluntary organisation working so hard to help all the people of the Maltese Islands has been robbed and ambulances vandalised. This happened at the yard where all these so important vehicles are kept. So hard for all our members to do this entire voluntary work after a day’s work of during weekends but they do it with dedication “in the service of humanity,” which is our motto. “For all this work, St John Ambulance receives donations which are the only way in which we can continue going and thanks to some people who decided to break in and steal so many important things, that our capabilities have been given a hard blow! SHAME ON YOU – WHOEVER YOU ARE!! At the end of last week, St. John Ambulance MALTA – A voluntary organisation working so hard to help ALL the people of the Maltese Islands has been robbed and ambulances vandalised. This happened at the yard where all these so important vehicles are kept. So hard for all our members to do this entire voluntary work after a day’s work or during weekends but they do it with dedication “IN THE SERVICE OF HUMANITY” which is our motto. For all this work, St John Ambulance receives donations which are the only way in which we can continue going and thanks to some people who decided to break in and steal so many important things, that our capabilities have been given a hard blow!! Our members are still continuing this work as we shall not be put off by a few people. Should anyone be ready to help us in any manner, kindly send us a private message. We are very grateful to the Police Force which has taken this case very seriously.